Amarilla Golf Villas is a stunning new development of luxury units of the highest quality. Set in an unrivalled location the development offers wonderful views over the golf course, down to the sea and the marina. The development stands out as one of the best in the area. 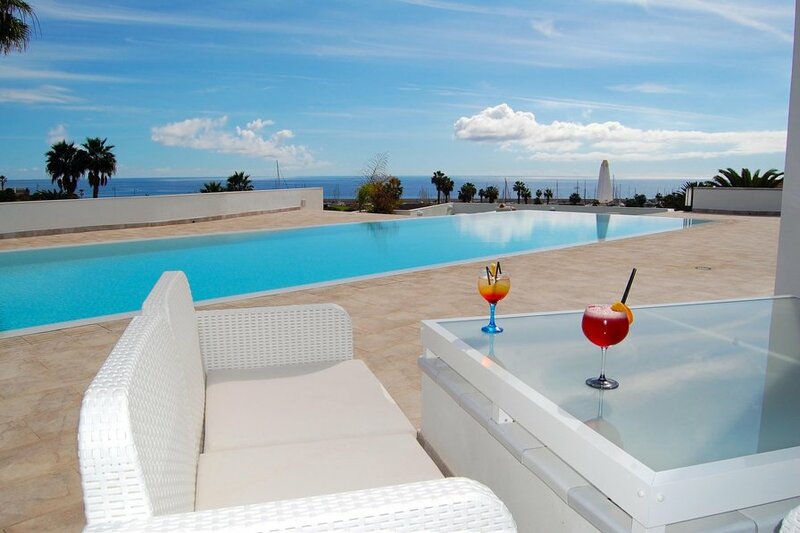 Amarilla Golf Villas offers private, individual and luxury accommodation combined with hotel style facilities such as an on-site manager, laundry service and it's own restaurant / bar serving food all day. Here you can relax and enjoy good food and fine wine whilst taking in the wonderful views. Each unit has been furnished to a very high standard and offers the ultimate in comfort. This particular unit has a large sunny terrace where you can sit and enjoy the amazing views. There are 3 bedrooms. 1 has a kingsize bed and ensuite. The other two have twin beds and an ensuite. The living room has two very comfortable sofas. The TV has a unique system picking up 100's of channels around the world including Russian, Spanish, German and full UK TV with films and sport. Free Wi-Fi is available throughout. The state of the art kitchen offers everything required for dining in. There are no washing machines but there is a free laundry service onsite. Amarilla Golf Villas is set on the edge of Amarilla and Golf Del Sur. A 10 minute walk from the development is the marina that separates the resorts. Here you will find some lovely sea front restaurants and bars. Some bars have nightly entertainment. The marina also has a small, mainly shingle beach. Further into the resort of Golf Del Sur, the San Blas Commercial Centre offers 3 pretty squares lined with bars, restaurants, shops etc. Many of the restaurants have live acts. Major attractions such as Siam Park and Jungle Park are within a 15 minute drive. Los Cristianos and Los Americas are a 20 minute drive away. The air conditioning is available during Summer only (June to Sept). Heating is provided if needed in the winter. Discounted green fees (approximately 12%) at the Amarilla Golf Course are available to guests staying at this property. Please enquire further and once you have booked we will instruct you on how to book your discounted golf. Stunning views from the whole apartment. Free underground or on-street parking is available.